Protests led by Basit Igtet in Marytrs square drew crowds but not as many as expected and the protest appeared to fizzle out without incident. Clashes in Sabratha between Dabbashi and Anti-ISIS force have escalated with civilians killed and other forces attempting to mobilize from Zawiyya and Watiya airbase to support their allies. On 16 September, clashes broke out in Sabratha among units affiliated with the Anas Dabbashi Brigade and the 48 Brigade, leaving at least five dead and 18 injured. LNA air force jets flew over the city on 18 September, triggering local fears that the LNA might intervene if the clashes escalate further. A brief ceasefire was announced on 18 September for an ICRC led evacuation though it is reported that the gun fighting continued. 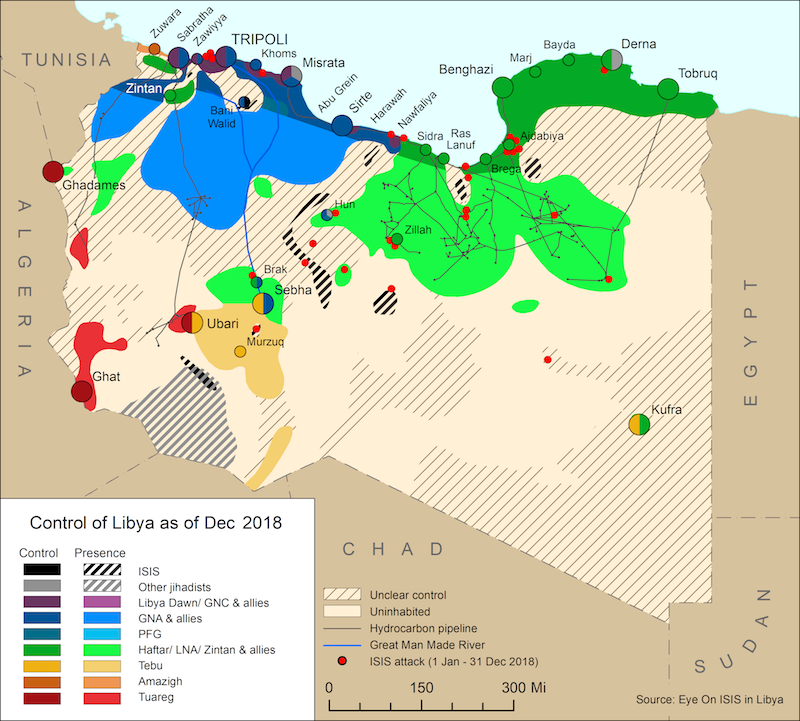 On 23 April, Abdullah Dabbashi, a Libyan ISIS leader was reportedly killed in Sabratha while in Benghazi, the LNA claimed that ISIS fighter Mohammed al-Moghrabi had not been executed as thought. On 14 November, it was announced that Hashem Abedi will be extradited to the UK. 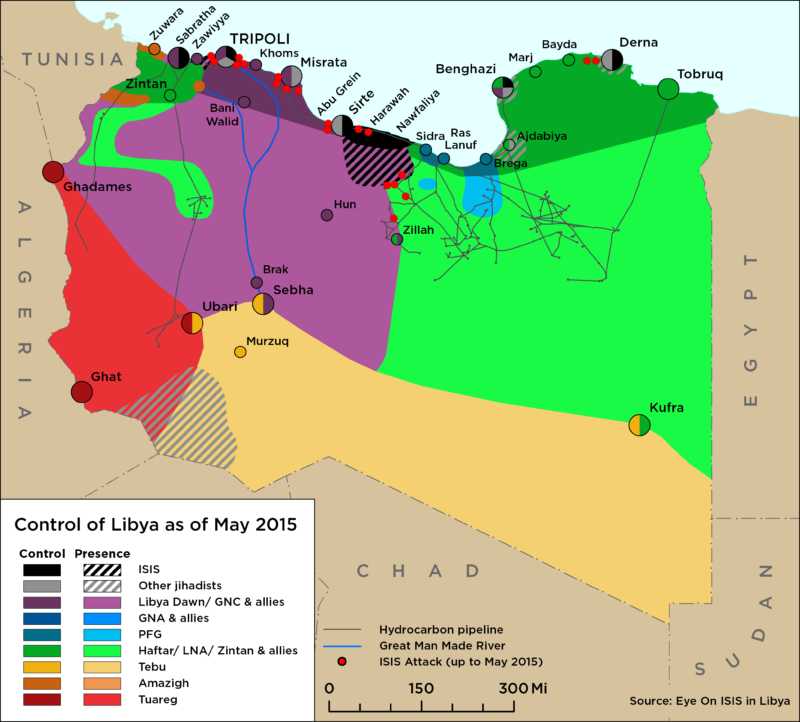 On 14 November, the 7th Brigade from Tarhuna clashed with Abu Salim Central Security forces in Tripoli. On 15 November, the Security Operations Room of Sabratha arrested the former head of the Sabratha Military Council. On 31 October, the HoR and HSC handed over a final agreement on the restructuring of the PC to UNSMIL. On 30 October, the Libyan National Army stated that it was launching a final assault against the Derna Protection Force. On 4 October, the Anti-ISIS Operations Room clashed with the Anas Dabbashi Brigade in Sabratha. Ahmed Abdul Karim Hamza, an official with Libya’s National Human Rights Committee, has stated that several mosques through Libya have being used by ISIS and al-Qaeda to radicalize and recruit youths.